In 2007, Net Literacy’s student board decided that “Net” financial literacy was becoming increasingly important with the proliferation of online banking and financial resources – and the increasing danger of identity theft. Also, the student board believed that students’ general lack of financial literacy caused them to be ill prepared for life. A series of informal focus groups comprised of high school students found most financial literacy websites to be “a yawn” and “boring.” Since increasing students’ life skills is one of Net Literacy’s core mission component; grants were proposed and a summer program was funded thanks to Lilly Endowment, the Old National Bank Foundation, and Bright House Networks. Net Literacy student volunteers reviewed more than 5,000 financial literacy websites and identified the 200 “best of class” videos, interactive games, and other content that made financial literacy relevant and interesting to post on the website. Twenty student volunteers spent 40 hours during the summer at IUPUI working very quickly to learn how to storyboard, script, produce, and edit videos. Indianapolis Public Schools believed that this website would be an important resource and the district nominated students from Northwest High School, Arlington High School, Arsenal Tech High School, Broad Ripple High School, George Washington Community School, Howe Community High School, and John Marshall High School to learn about financial literacy and produce 20 videos that mixed fact and fun together. Net Literacy Chief Technology Officer Brian Kelley (Purdue University) and Student President Daniel Kent (Haverford College) built the website and used php to create the dynamic interface to showcase the 200 “Best of Web” financial literacy videos, interactive games, and content. 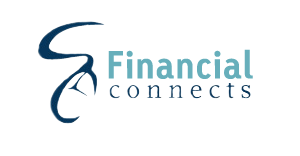 Phase I of the website is at www.financialconnects.org. Chairman of the House Education Committee Greg Porter visited the students as they were taping the videos during the summer program, and explains why the Indiana General Assembly passed financial literacy legislation in 2009. A press conference was held at the Indiana Department of Education’s offices, and also, Superintendent of Public Instruction Dr. Tony Bennett praised Net Literacy for this service learning project. While this was a step in the right direction, Net Literacy’s student board believed that students could learn about financial literacy and in a compelling manner, create their own videos and interactive web based games to both engage and teach students about financial literacy. Net Literacy applied for and was successful in obtaining a $98,000 grant from State Farm. Read more by clicking on the tab “Financial Connects Contest” on this website. Visit www.statefarmyab.com for more information about the different projects being funded and about the Youth Advisory Board. Net Literacy’s student volunteers and student board of directors thanks State Farm Youth Advisory Board and State Farm for their trust, support, and advocacy. Learn more about Net Literacy by visiting www.netliteracy.org.